Over 25 years’ experience working with generators provides expertise and excellent manufacturer relationships. Some customers know exactly what they want, including the brand and the size/capacity. We’re also able to consult with you to determine the generator that will best fit your needs. Having ample power is critical. We’ll help you make sure that you’re prepared for the capacity you need to keep business running smoothly. Central California Power recognizes that getting the right equipment or part is often an urgent issue. We carry many products, such as controllers and regulators, in stock ready to ship. We have ready access to all sizes of units, from a 10 kilowatt portable to 2,000 kilowatt fixed installation. We’re able to build a custom generator for you in as few as 4 – 8 weeks. 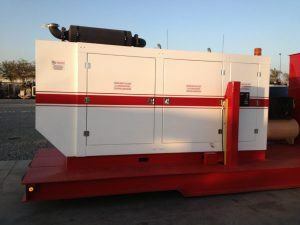 You can count on our experience with all sizes and types of generators to give you the power you need. 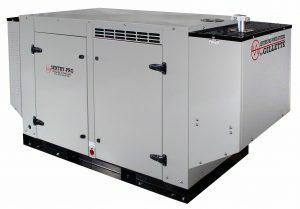 Other builders of custom generators typically require 16 – 20 weeks. But we know that you want it sooner. Remote monitoring systems – Have 24/7 access to your generators that are in the field. Maintenance contracts – Prevent problems by choosing a service frequency that meets your needs: monthly, quarterly, semi-annual, or annual. We’ll sample and change the oil and change the fuel and air filters to keep your generator in top condition. Our qualified technicians are available 24/7.